About a year ago, I spent a week with a group of other nonprofit leaders at the MIT Media Lab Open Leadership Camp. We explored the idea that open technology is a framework with relevance and importance for the social sector. I’m not a big technologist, but a very simple definition of open technology is technology that is developed in the open with full transparency and a process that allows anyone to participate freely. 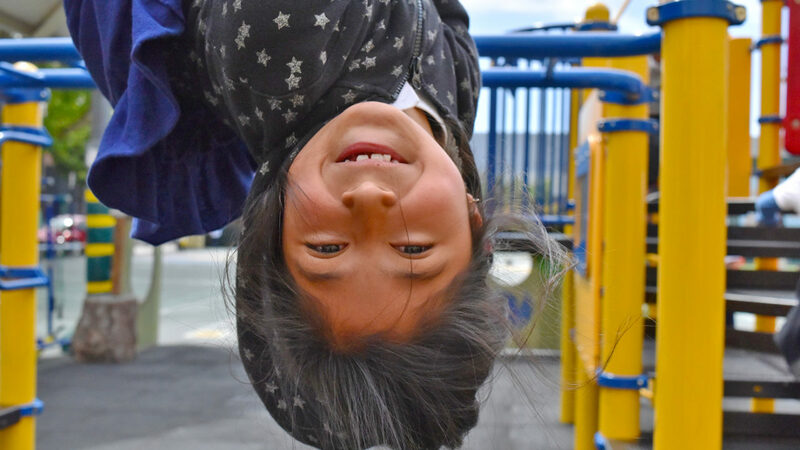 Playworks has had this orientation since our founding, which makes sense since play is, in many ways, the original open technology. By their very nature, games are intended to be tweaked and adapted, improved by new users with the modifications shared, debated, and then further modified. At Playworks you can see this approach in the Game Library that we make available online, our trainings, and more recently, our work with districts to build capacity to maintain the Playworks approach long after we leave. Play, in many ways, is the original open technology. By their very nature, games are intended to be tweaked and adapted . . . The qualities of Open that really appeal to me are that open technologies are intended to be understood, designed to be extended, and organized around participation. Whenever we’d talk about deciding whether or not to make something more broadly available—or open—it felt almost as though it were one of our core principles. 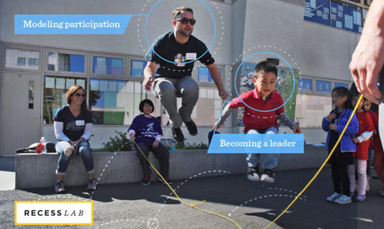 Most recently, Playworks launched RecessLab, a site designed to help principals and teachers re-discover the power of play. 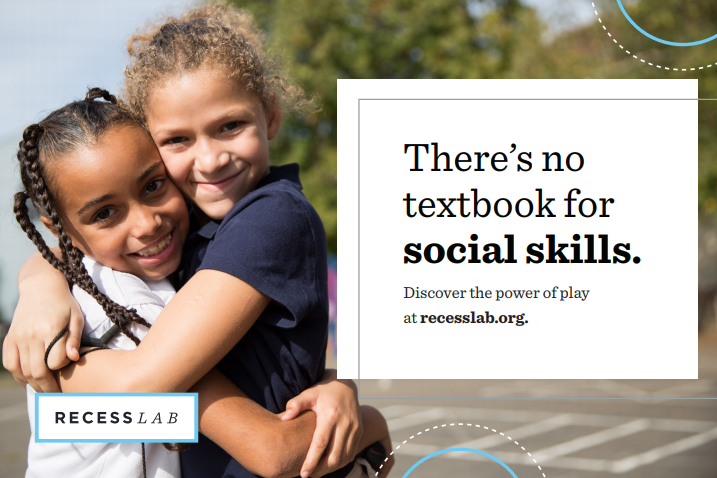 Recess Lab has tools and games that develop kids’ social skills on and off the playground. It also includes a Recess Checkup, a brief online quiz, so schools know how they’re doing. RecessLab has been taking off, and as a result, we’ve been having some conversations about what it means to be a Playworks program. Which brings me back to the idea of Open. At the MIT Media Lab, I had the chance to talk with folks from Mozilla about lessons they’ve learned in applying Open, especially in the development of Firefox, a popular web browser. It doesn’t seem like software development and recess games have that much in common, but Mozilla’s experiences felt familiar. Mozilla exists because of it’s passionate users. But as Mozilla grew, those users did not always have clear information about the organization’s vision and motivations. Similarly, Playworks exists because so many people share our belief that play brings out the best in every kid. But because experiences with play are so personal, in the absence of concrete information people don’t always know who we are and what we stand for. Mozilla’s experiences led them to create the Mozilla Manifesto, a set of principles that helps define the organization for others and serves as a north star. This winter, Playworks has been crafting something similar. I am pleased to present Playworks’ Six Simple Principles of Play! We hope these principles will be a helpful tool in creating space for even more play, by creating even more openness. Please let us know what you think—they are intended to spark conversation, thought, and most importantly, to encourage more play. 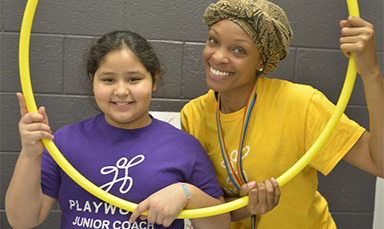 In our experience at Playworks, focusing on a few key principles of play ensure the most joyful, free, and inclusive experience for all children and adults. Try on these approaches in your school! Every kid has the opportunity to play every day, from the classroom to the playground, and in the neighborhood. Kids get to choose to play and get to choose games that make them happy. Kids have the right tools to resolve playground conflicts on their own. 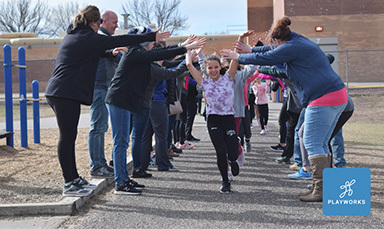 Adults play alongside kids, modeling and supporting a culture of trust, positivity, and inclusion. Play is not treated as a reward to be revoked. Everyone is welcome to join the game, because playing together is a great way to build community.